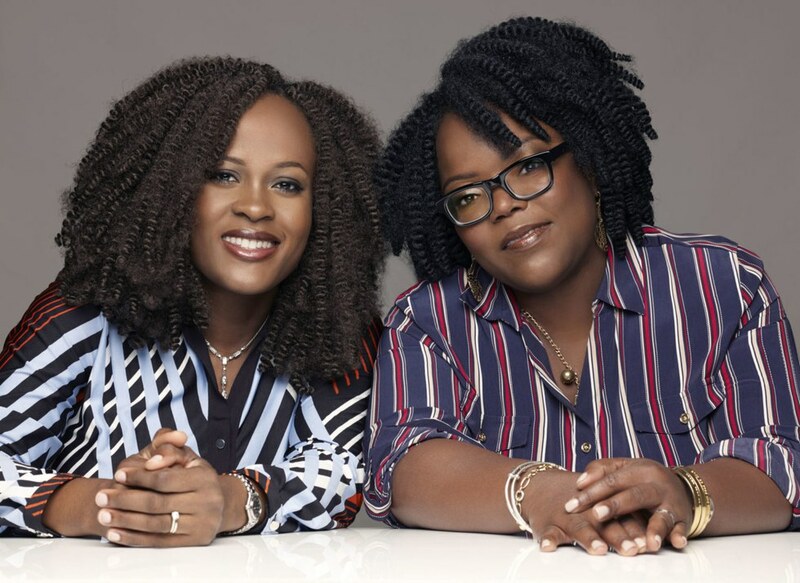 Nigerian sisters Chinelo Chidozie and Ndidi Obidoa of Bolden on the importance of developing beauty products that benefit women of color. Even if you’re not a person of color, you know what the dermatological adjective “ashy” is: Tiny flecks of dried skin that show up on people with more melanin. But you might not know how difficult it is to find products that don’t leave white residue, like when you apply sunscreen. The duo behind the beauty line Bolden, Nigerian sisters Chinelo Chidozie and Ndidi Obidoa, know this struggle all too well. Growing up in West Africa, they often used shea butter at home. Bolden was created to help expand the beauty options available to women of color, and support communities that produce shea nuts in Burkina Faso. In their quest to develop their line of shea products, the number one beauty complaint from their customers was hyperpigmentation—or, the discoloration of darker skin due to sun exposure. Ndidi Obidoa and Chinelo Chidozie of Bolden. Photo courtesy of Bolden. Aside from developing skin cancer, the other issue for people of color is spending a lot of time testing products to see if they’ll work on their skin. “I always ask myself, ‘Is this a product that will leave a white cast on me?’ and then I realize, whoever made the sunblock probably didn't have me in mind. As consumers, we're so used to trying products to see if they'll work. In 2017, that's not okay.” Consumers shouldn’t have to one-style-fits-all products that don’t suit their needs. Chidozie and Obidoa started investigating why sunblock leaves a white residue. Titanium dioxide and zinc oxide, two chemical compounds found in most sunblock ingredients and are known for reflecting sunlight off of skin. But only for certain skin pigments do these compounds actually look good; otherwise it might look more like this. For the sisters, it was an obvious gap in the marketplace. The answer was to develop a formula that acts more like a moisturizer than a sunscreen; it’s a cream-colored serum that dries clear on the skin. Bolden plans to add it to their line within the next couple of weeks, and they know there’ll be demand.